Here are some tips for tryouts. 1 – Arrive Early. Know where the fields are. Leave plenty of time to get there, and register and assess equipment based on the field surface. 2 – Look the part. Anyone can put on gloves, that doesn’t make them a goalkeeper. Look like a goalkeeper: shin pads and gloves are on, socks are pulled up, shirt tucked in. If you are most comfortable in a long-sleeve jersey, wear one. Wear the sliding shorts or other equipment you’d wear in training or games. 3 – Be prepared. Bring extra gloves, different studs and additional clothing. Weather conditions may require you to make changes. If there are more goalkeepers than places on the field, you may be sitting out. 4 – Introduce yourself to players and coaches. Figure out who the players are that have already made the team and hang out with them prior to the start of the session. 5 – Find another goalkeeper to do a goalkeeping specific warm up before getting in the net. 6 – Form a relationship with the defenders on your team. Get to know their names so you can give them instructions and also give praise. 7 – Do not wait for an invitation to go in the net. Be the first one in. 8 – Avoid high risk action. Play simple and safe. 9 – Avoid getting caught up in the game result, cheering wildly if your team scores. Project calmness and an expectation of winning. 10 – Go for every ball or shot. 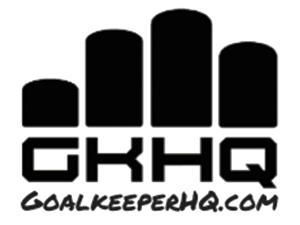 A goalkeeper coach can help with poor technique but will find it extremely difficult to work with a goalkeeper that can not or will not go for the shot. 12 – Use positive self talk. Words or an image that stimulates you to do well or energizes you. 13 – Do not panic and maintain emotional control. No need to fall out with temporary defenders or letting one mistake affect the rest of your performance. 14 – Choose smart distribution by not giving the ball away and show off your tactical knowledge by slowing the game or setting up counter attacks when necessary. 15 – Be ready to go again for a second day if necessary. That means cooling down correctly, even if no-one else is. Eat correctly, review your performance and bear in mind anything you feel you need to improve on the following tryout.